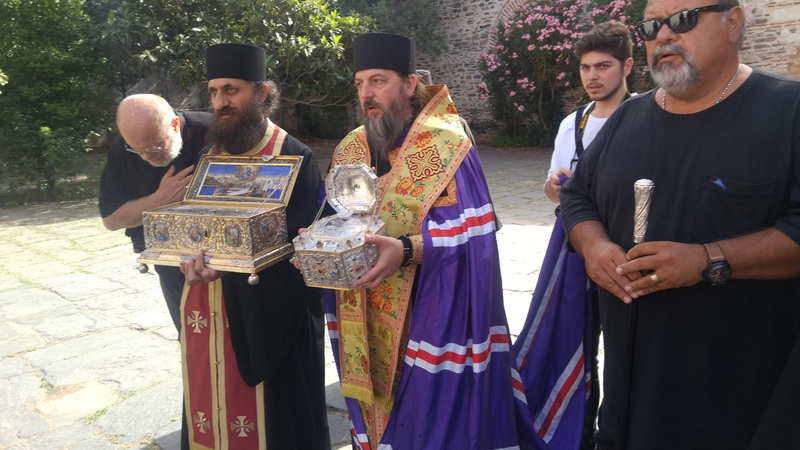 In June, 2016, a group of pilgrims, led by His Grace Bishop Theodosius of Seattle, traveled to the holy sites of Greece. 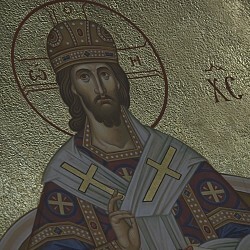 The male pilgrims began with a 6 day pilgrimage to Mount Athos. We were based at the Holy and Great Monastery of Vatopedi. During those days, we visited many of the monasteries along the peninsula, including Iveron, the Great Lavra, Stavronikita, Docheiariou, Pantokratoros, and a few sketes. We were fortunate to venerate the Holy Belt of the Mother of God, countless miracle-working icons and relics of saints, and we drank water from miraculous springs. We spent the Feast of Pentecost in Vatopedi, being blessed by Geronda Efrem, the abbot of the monastery, to serve Divine Liturgy in Church-Slavonic in one of the many chapels within the monastery walls. Our last night on the Holy Mountain was spent at the Russian Monastery of St. Panteleimon. Next on our itinerary was a visit to the island of Aegina, to see the legacy of St. Nectarios Pentapolis. 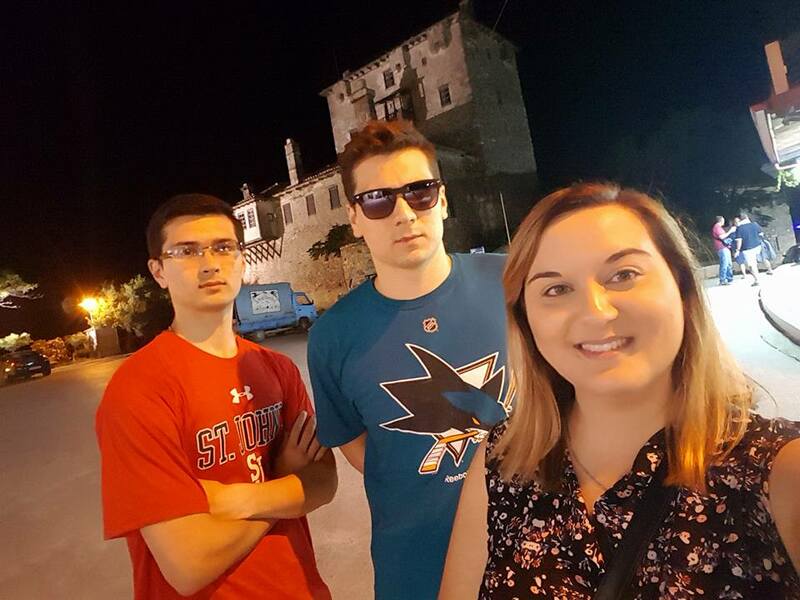 On our way there we traveled through the city of Thessaloniki where we venerated the holy relics of Great-Martyr Dimitrios, St. Anisia, and St. Gregory Palamas. We arrived in Aegina mid-afternoon, and were given free time to explore the island and the surrounding beaches. The next morning we made our way to the Monastery of St. Nektarios for Divine Liturgy. Here we sang an akathist to St. Nektarios outside his tomb and were given a tour of his cell. From that monastery we made our way to Holy Monastery of Saint Menas, yet another women’s monastery on the island. Aegina in a sense can be called a women’s “Mount Athos” as there are only women’s monasteries found on the island. The island Corfu was next on our journey. An early morning departure from Athens allowed us to attend Divine Liturgy in the church were St. Spyridon’s relics are preserved. After Liturgy, Bishop Theodosy served a molieben in front of the relics of St. Spyridon. 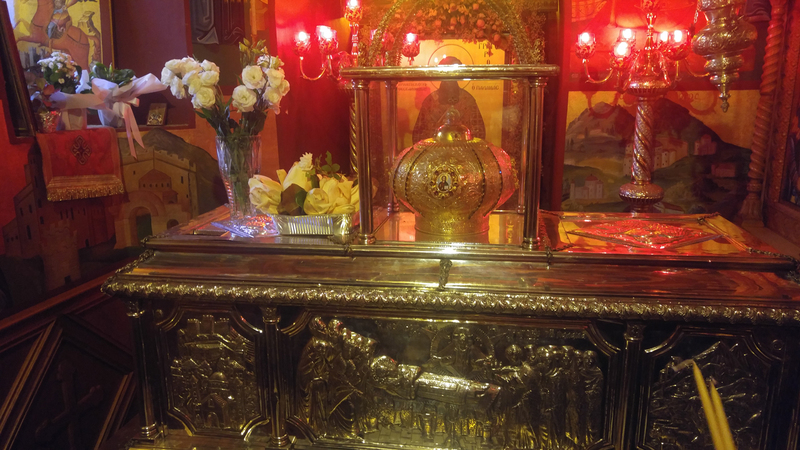 We were also able to venerate the relics of Empress Theodora, located in a church in the centre of the town of Corfu. Our visit on island, though short, was a huge blessing. Athens was our last stop on our pilgrimage. Our hotel was located in the Plaka district at the base of the Acropolis. It was a short walk up to the Acropolis where we admired the ancient ruins of the Parthenon. We also visited the Acropolis Museum. Some of our pilgrims were familiar with Abbot Niphon of Holy Trinity Monastery in Glyfada. We visited the monastery for vespers and were treated to supper by the brotherhood. 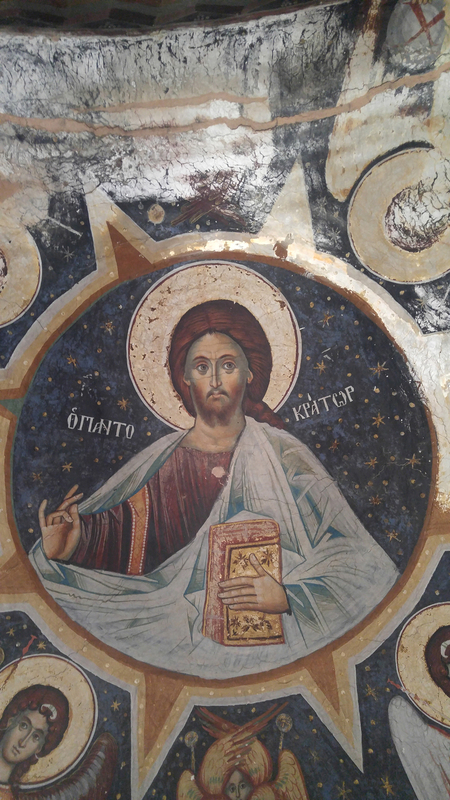 We were also introduced to Metropolian Pavlos of Glyfada, who blessed us with many gifts to remind us of Greece and our wonderful times visiting all the holy places. The following morning we traveled by bus for a day trip to the village of Prokopi to venerate the relics of St. John the Russian. After attending liturgy we sang an akathist in front of his holy relics. Throughout our pilgrimage we received so many blessings! Two weeks was not nearly enough to see all the holy sites and experience Greece. God-willing we will have another chance to visit!